Buttercup Dog Collars combine two of my favourite things, handmade craft and pets. These adorable collars are such a cute way to add some style to your pet. 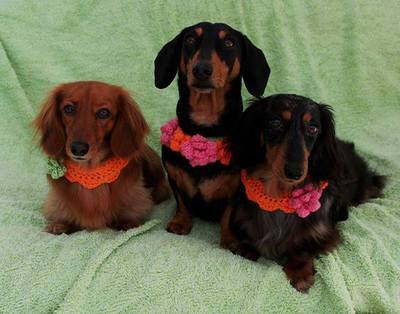 Featuring posh little bow ties and lovely bunches of crochet flowers, you can dress your pet up for any occasion. I love the trend of including pets in weddings and family photos. 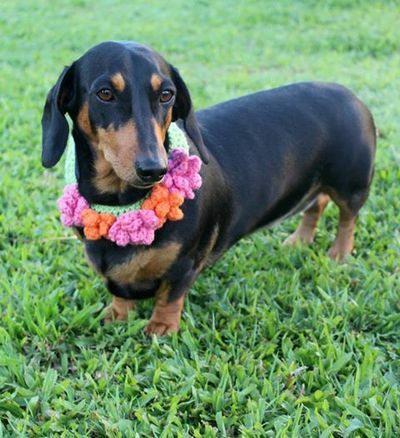 Adding a Buttercup Dog Collar can ensure your pet is dressed to impress. 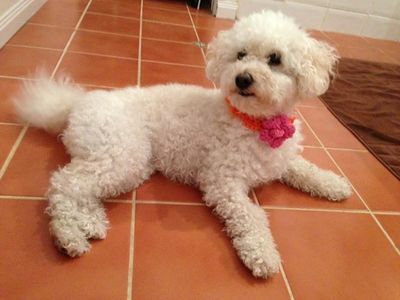 Made from machine washable acrylic wool, the collars feature a Velcro or crochet button closure. Custom orders can be requested based on your choice of colours and your pet’s neck measurements. Visit Buttercup Dog Collars on Facebook. What is the best dog name? What is the best cat name? Our first cat has the highly original name of "Putty Cat"
Should pets be allowed at work? What are your favourite healthy lunch recipes? What's the most underrated TV show?